On Sunday, August 26, 2018, Mohammad Habibi, union activist and member of the board of directors of the Teachers’ Union Association of the Province of Tehran, was transferred to Imam Khomeini Hospital but was later returned to prison without receiving proper medical attention. Habibi was recently sentenced to a ten-year prison term and 74 lashings. 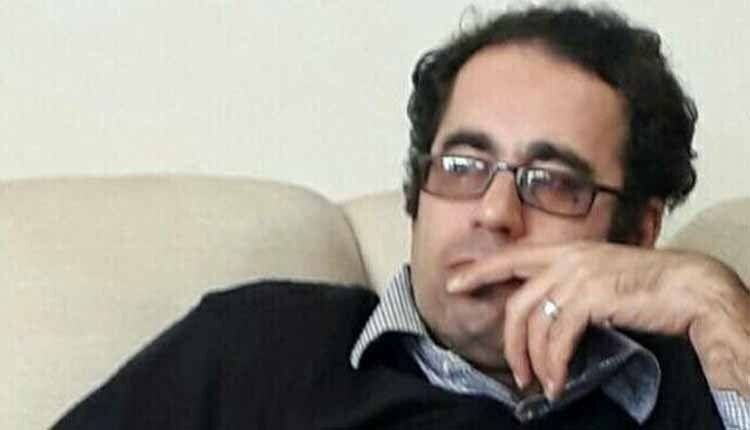 A close associate of Mohammad Habibi, Sedigheh Pakzamir, stated in an online post that the order for Habibi to receive treatment outside of prison was issued 45 days ago and yet, he was not transferred to any medical center until today. According to Pakzamir, while the order explicates that Habibi receives medical attention, he was returned to the prison without receiving any. Sadigheh Pakzamir added that Mohammad Habibi is suspected to have lung and urinary tract infections. As such, the doctor recommended that he undergoes a sonography and other specialized medical testings on Monday. Fatemeh Saeidi, Member of Iran’s Parliament representing Tehran and a member of the Parliament’s Education and Research Commission, had previously stated that Mohammad Habibi was held in the ward housing violent criminals and that a letter addressing his particular predicaments, signed by a number of Parliament representatives was prepared for the head of the Judiciary asking that Habibi’s sentence be reduced. On August 4, 2018, one of Mohammad Habibi’s attorneys, Amir Raeisiyan, reported that his client was sentenced to ten and a half years of imprisonment. Considering that the cumulative sentence for all the charges against Habibi equal to seven and half years of imprisonment, he can only be required to serve for that long. Furthermore, Habibi was sentenced to 74 lashings and barred from any union, partisan, community and political or social activities for two years. He is also subject to a two-year travel ban. Prior to this, in a letter addressing the authorities of the Islamic Republic, the International Trade Union Confederation objected the heavy sentence issued for Mohammad Habibi and demanded his immediate and unconditional release. The group, Education International also protested the verdict against Habibi and demanded his release. Mohammad Habibi was previously arrested on March 3, 2018, at his place of employment and jailed for 44 days. On April 15, 2018, he was released on a bail of approximately $50,000 USD.